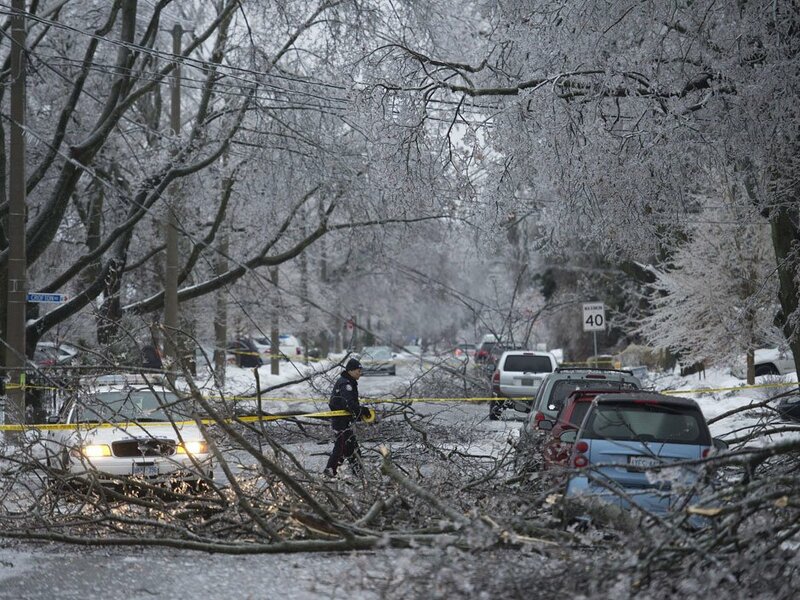 A massive ice storm has brought snow and freezing rain to Toronto, and to much of the east of Canada. The storm has left some 400,000 people in the region without electricity and forced the closure of parts of its public transport system. Travelers were stranded at airports in Toronto, Ottawa and Montreal as dozens of flights were cancelled or delayed. At least 11 deaths have been blamed on the storm system in the US and Canada. Toronto’s Mayor Rob Ford called the storm “one of the worst storms in Toronto history,” saying that a state of emergency may be called on Monday. Rob Ford said the city’s top priority is restoring power to two hospitals, Sunnybrook and Toronto East General. The Toronto Hydro power company said that it may take up to 72 hours to get everybody in the city reconnected. Many flights were also cancelled in the US due to the storm, at one of the busiest travel periods of the year. More than 400,000 people were also left without power in Michigan, New York state and New England. The US’s National Weather Service described the storm system as “complex and large”, warning that “another round of snow and ice” was expected for New England on Monday as the storm winds down. At least four people were killed by flooding caused by the storm in Kentucky, while a tornado was reported to have caused extensive damage in Arkansas. However, the system has also brought record high temperatures to some parts of the east coast of the US, with the temperature in New York’s Central Park reaching 21C, with records also being set in several other cities.